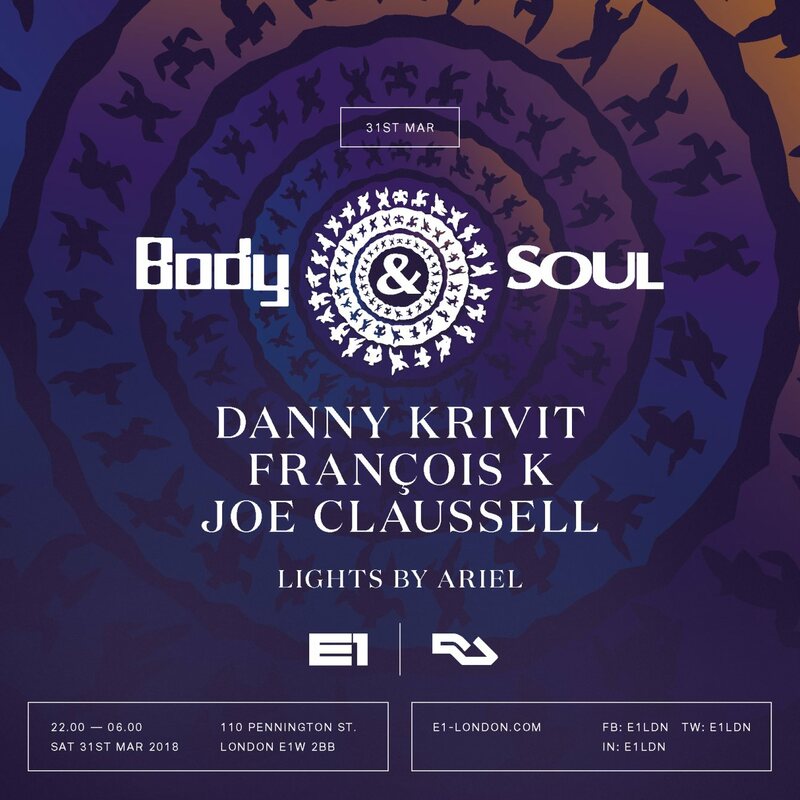 Legendary New York collective Body & SOUL join us at E1 London for an 8 hour set on Saturday 31st March 2018. Started in 1996 by François K. and John Davis as a weekly Sunday party at Club Vinyl with DJs Danny Krivit, Joe Claussell and François K. The party ran weekly for 6 years and 1 week until the club closed. 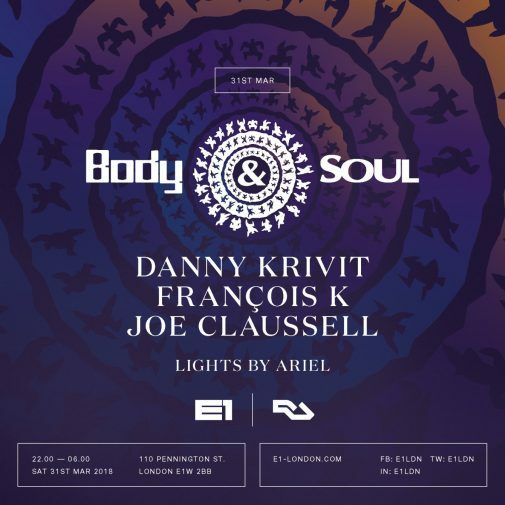 Since the club closed Body & SOUL have rarely held events in NYC or elsewhere in the world. The Sunday afternoon party, which took place at Club Vinyl in New York’s Tribeca area, soon became one of New York’s most revered weekly parties. The three DJs, Danny Krivit, Joaquin ‘Joe’ Claussell and François K: delivered a unique soulful mix of very organic and spiritual dance music grooves and became standard-bearers for New York house. On any given Sunday at Body&SOUL, people from all walks of life, all ages, all races, raised their hands in the air and gave thanks for the unifying force that brought them back week after week: the music.